On behalf of our team, we look forward to welcoming you to "Our Beach House, Your Favourite Holiday Home". 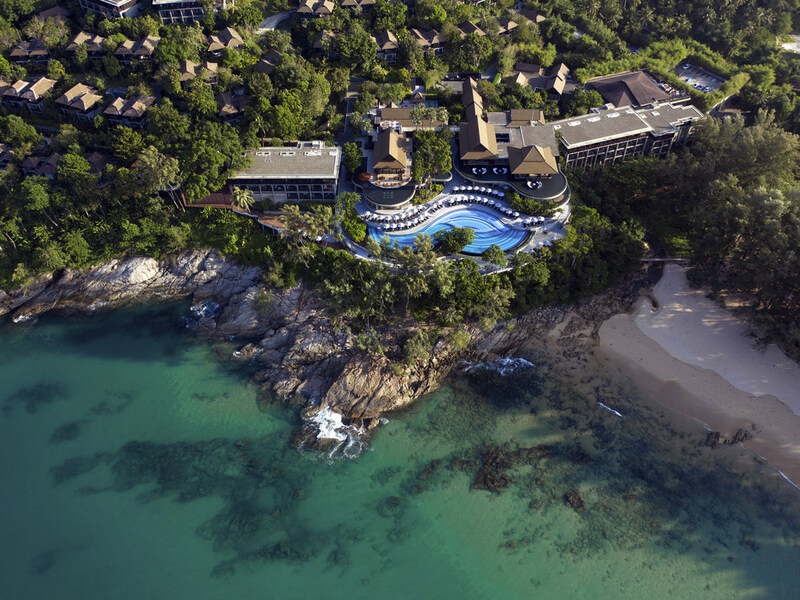 Perched on the headland overlooking the crystal water of the Andaman Sea, Pullman Phuket Arcadia Naithon Beach offers guest a tranquil and relaxing getaway with direct stair access to the beach. With Sophisticated and contemporary décor, the resort brings a cosmopolitan sensibility to a seaside setting allowing guests to 'check in and chill out'. Ban Naithon is located on the North West side of the island, just 8km from the airport. The retreat is on one of Phuket's best beaches, with close proximity to Phuket's tourist spots. It is only a 15-minute drive to Bangtao or 40 minutes to Patong. The 277 rooms and luxury ocean pool villas boast a new level of luxury and comfort with generous and expansive spaces, a balcony with a day bed, Free WIFI, LED TV, bathroom with separate bathtub and rain shower, and much more. The Deli is a treasure trove for the senses; indulgent chocolate, fresh baked croissants, imported cheeses, old and new world wine and delicious treats to accompany an afternoon of grazing on your balcony. The All Day Dining will showcase fusion delicacies and the fine traditions of Thai and Western cuisine. Each dish is served with a contemporary twist: fresh seafood with just the right seasoning or banana blossom palm leaf salad to tempt the palette. The Italian trattoria and wine bar offers an array of specialty dishes providing a unique culinary journey through various provinces of Italy. Enjoy the breath and embrace the Italian tradition of taking one's time to enjoy good food and wine. The Lobby Lounge has stylish, chilled out beats down to a fine art, allowing guests to relax in the designer sunken lounges nestled amongst the infinity pool. The home of Pullman's Vinoteca innovation guaranteeing quality wine by the glass. Center of family pleasure during day time, serving kids favorites. This area has been created with the children and their parents in mind. The main pool overlooks Naithon Beach and the beauty surrounding this secluded area. Our sun deck provides the perfect backdrop for lazy mojitos by the pool.